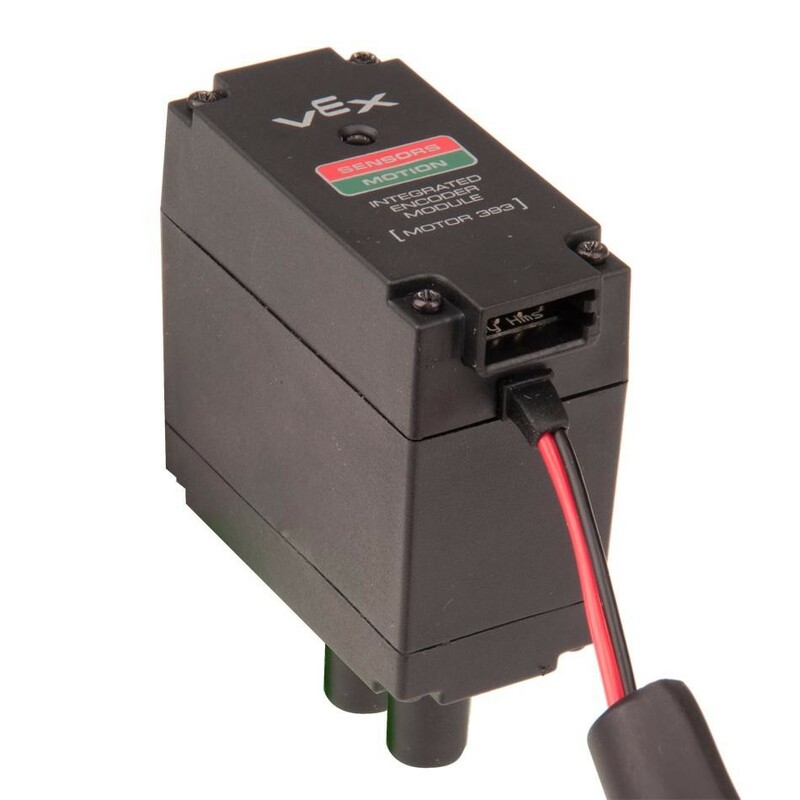 This product replaces the plastic cap on the back of a VEX 2-Wire Motor 393 with a quadrature encoder. 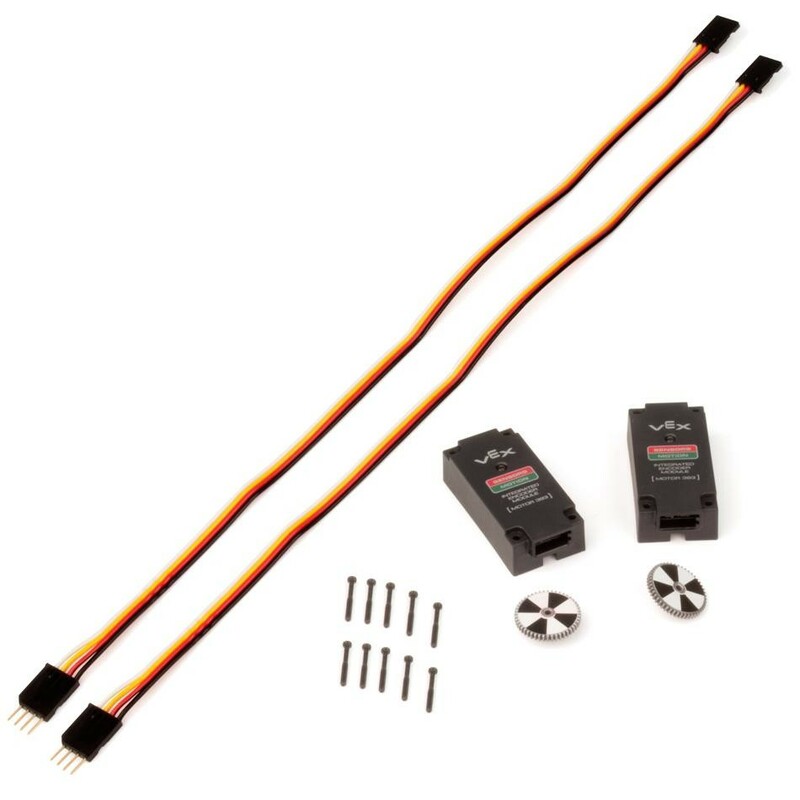 Install this product and connect it to your Cortex Microcontroller via I2C to receive direct feedback from the motor. 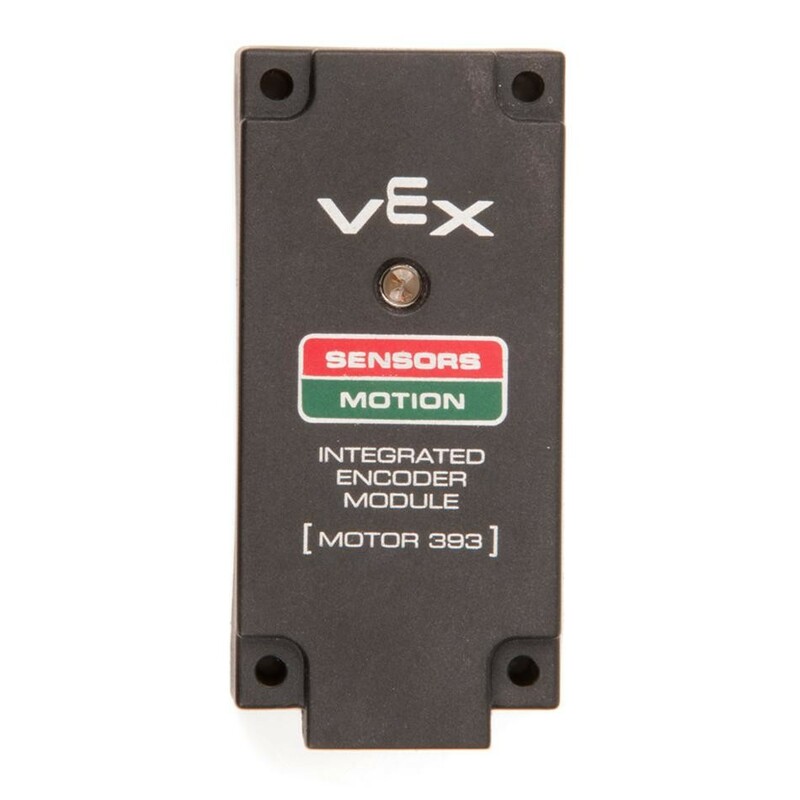 This encoder provides information on how fast the motor is going, how far it has traveled, and what direction it is moving. We've recently discovered that some of our users are experiencing issues with their robot running after it is disabled. 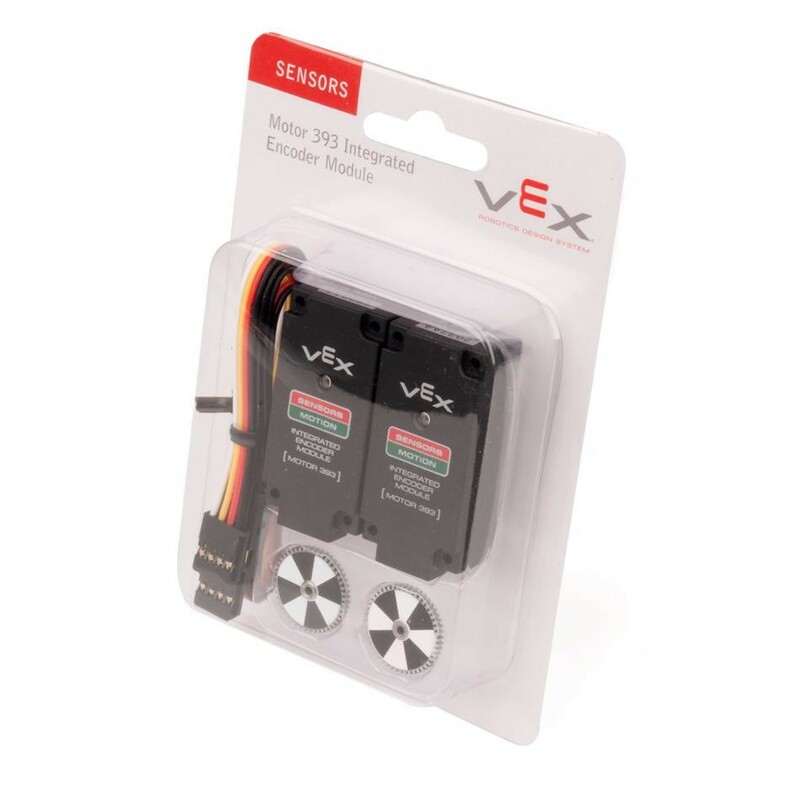 This error is due to a bug in the VEX Cortex Microcontroller firmware. This bug is not something caused by user software programs. We are working to correct this issue with a firmware update in the coming months and apologize for any inconvenience this may have caused you. (2) Motor Encoder Caps for the 2-Wire Motor 393. (2)Replacement Gears with White/Black Encoder Wheel. (2) 12" Long, 4-Wire Extension Cable. Inventor's Guide - Motor 393 Integrated Encoder Module. Function: Measures 627.2 ticks per revolution of the output shaft. (High Torque Configuration). Measures 392 ticks per revolution of the output shaft (High Speed Configuration). Connect to I2C port on microcontroller or another encoder.